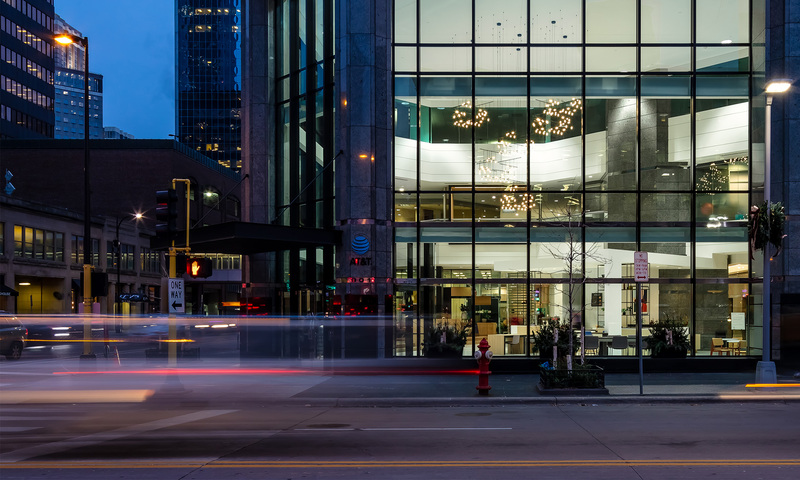 AT&T Tower - Sussner Design Co.
AT&T Tower, the iconic skyscraper that stands in the heart of downtown Minneapolis, renovated their interior environment and added new amenities for the tenants of the building. 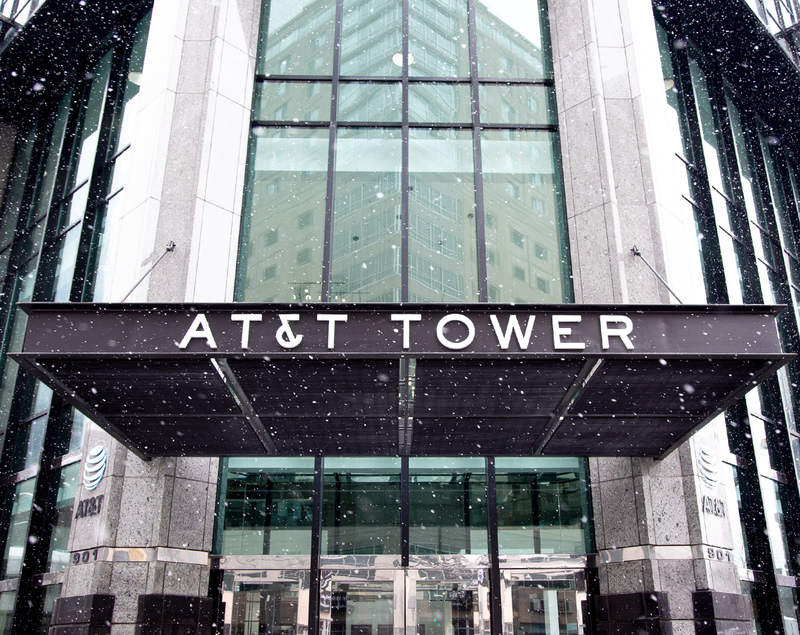 The Tower’s management group, Ryan Companies, hired us to evolve the property’s brand from their current identity to one that better represents the unique personality of the building, and also differentiated the Tower’s brand from the highly recognized AT&T corporate brand. 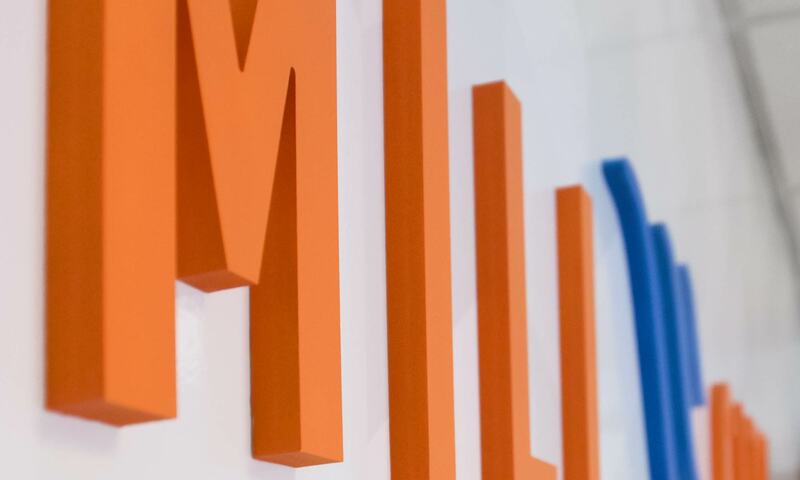 The goal was to create a refreshed brand for a building that people could identify with and want to be part of, resulting in both attracting and retaining tenants. 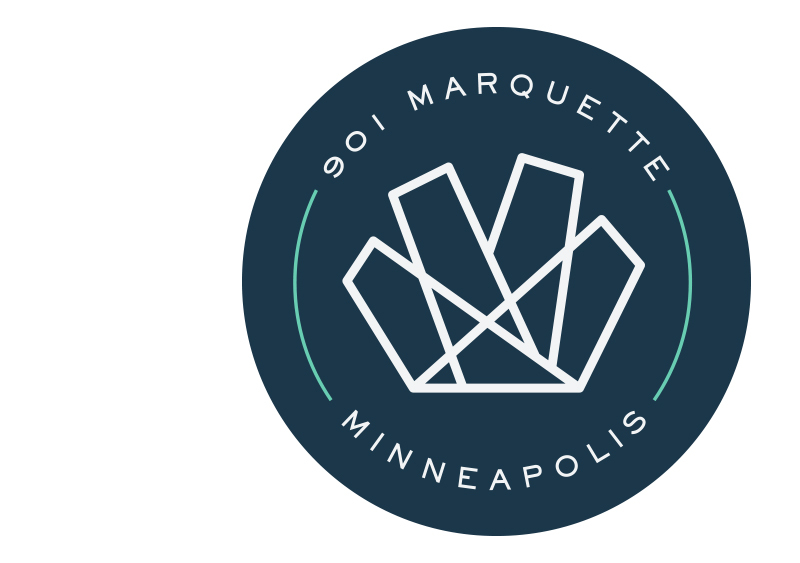 LOGO REDESIGN: The Tower’s new logo design reflects the crown of the building in an abstract, modern and confident way. 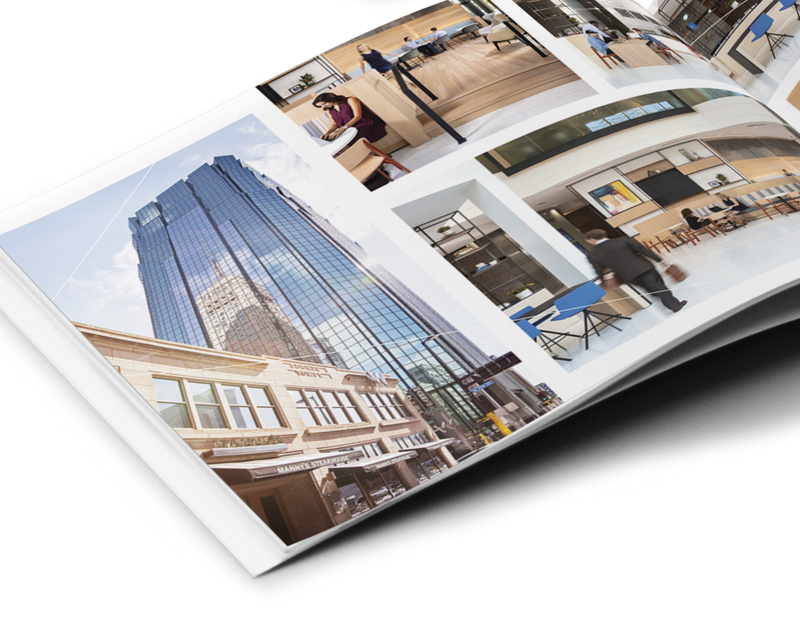 The interwoven angles were inspired by the unique architectural building fixtures and the energy of the people that work in and move through the spaces. 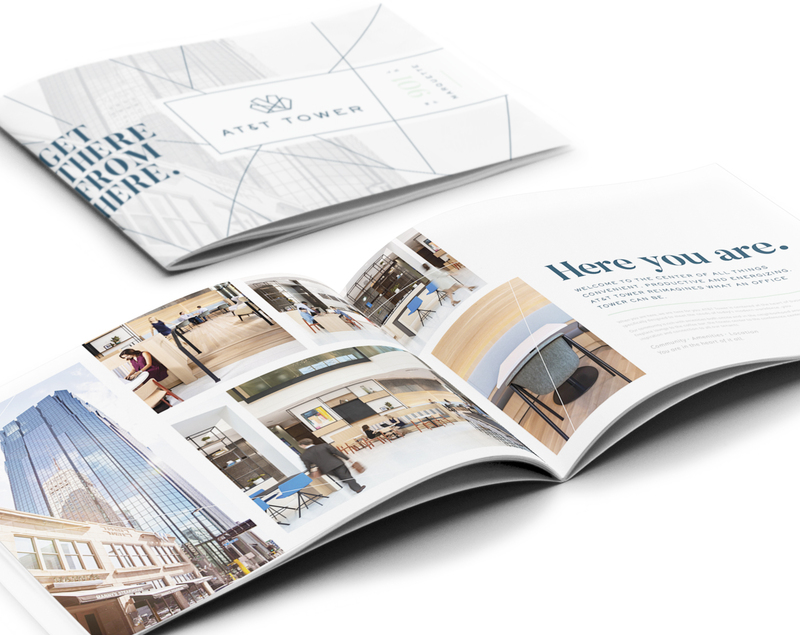 With the new brand foundation in place, sales materials and wayfinding signage for the physical environment were created to support the launch of the new AT&T Tower brand identity. 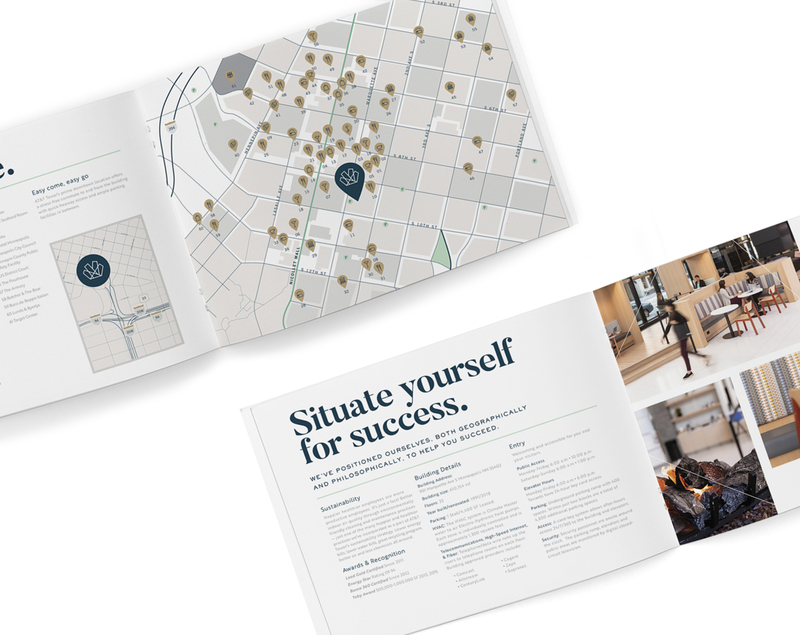 Supportive graphics help tell the story of the active culture in the central hub of downtown Minneapolis. 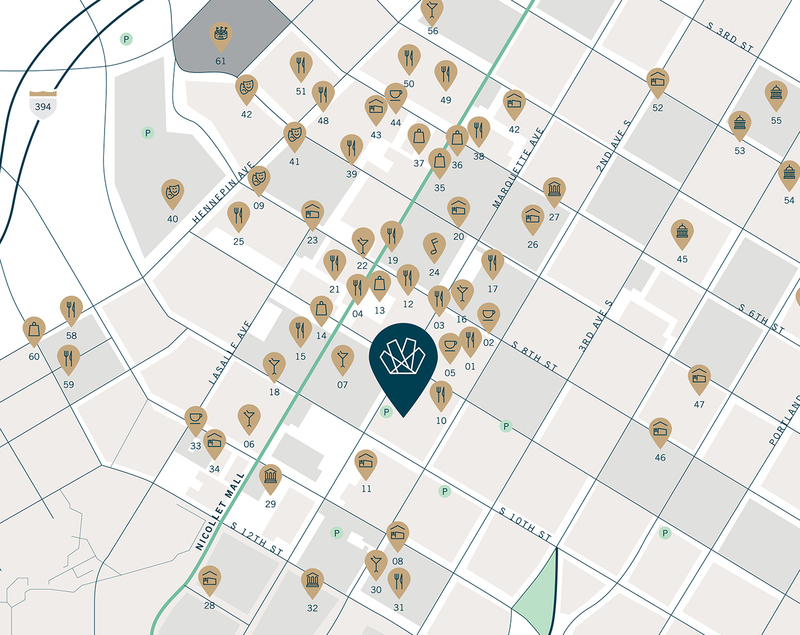 We love it so much, truly brilliant work! 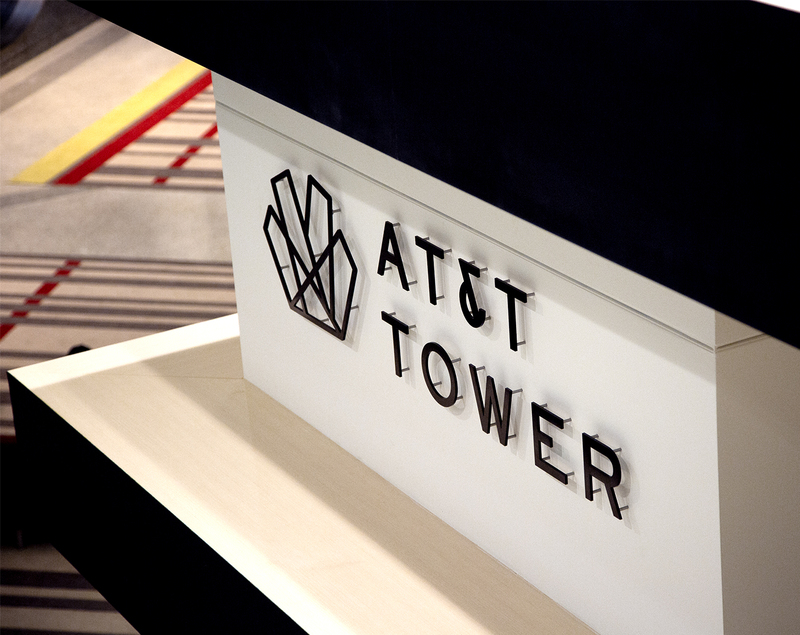 EXTERIOR SIGNAGE: Subtle, distinctive custom typemark showcases the Tower's prominent location. 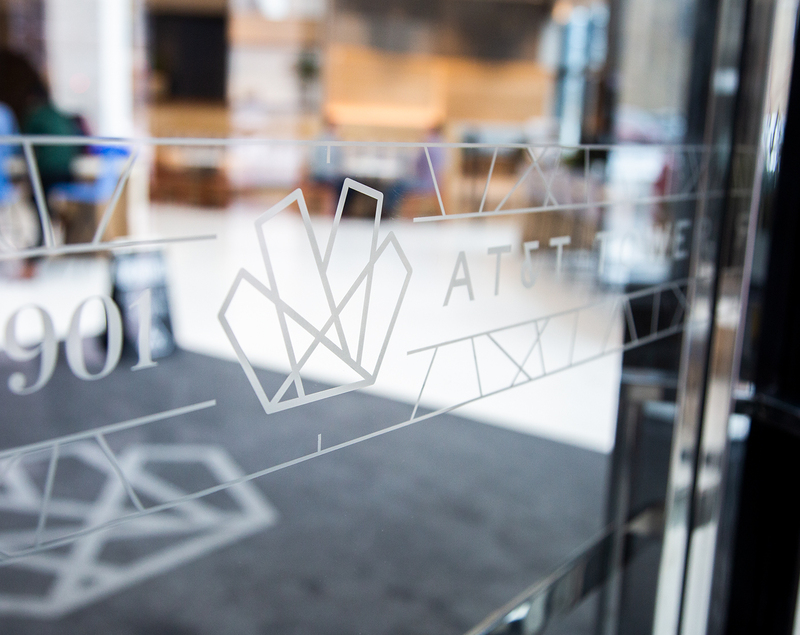 VESTIBULE GRAPHICS: A simple repeated pattern in frosted graphics confirms you are in the right place. 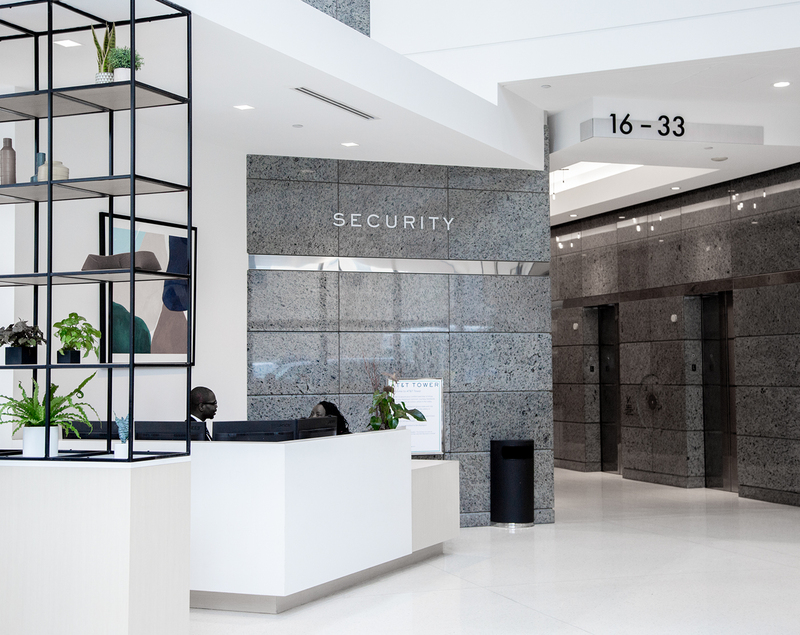 SECURITY DESK: Minimal and descriptive wayfinding makes finding the Security desk simple and easy. 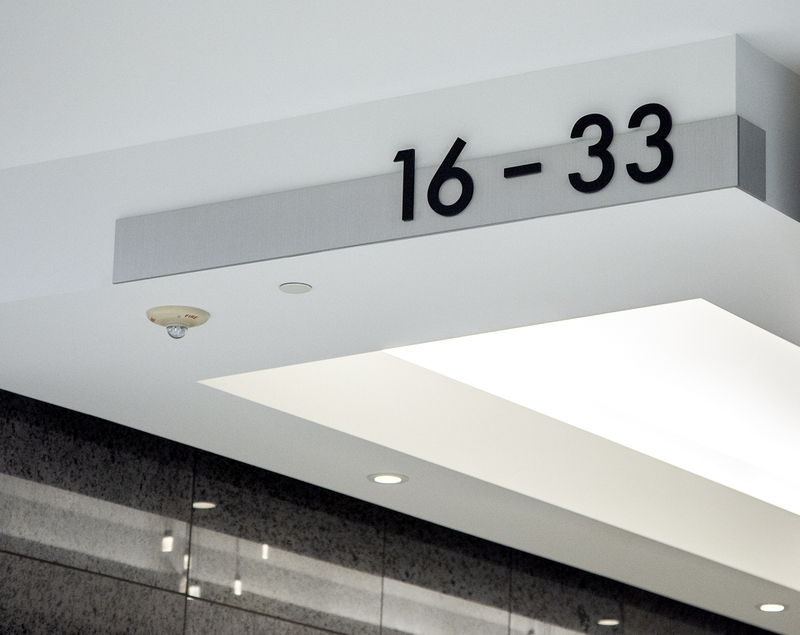 ELEVATOR NUMBERS: Directing people to their destination with legible, branded numbers. 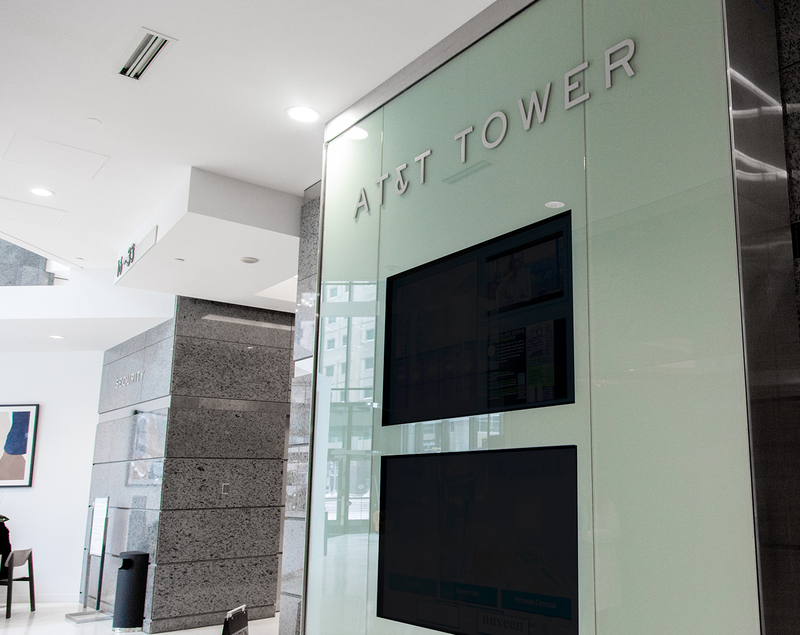 THE DETAILS: Sleek and industrial brushed metal letters enhances the branded glass wall. 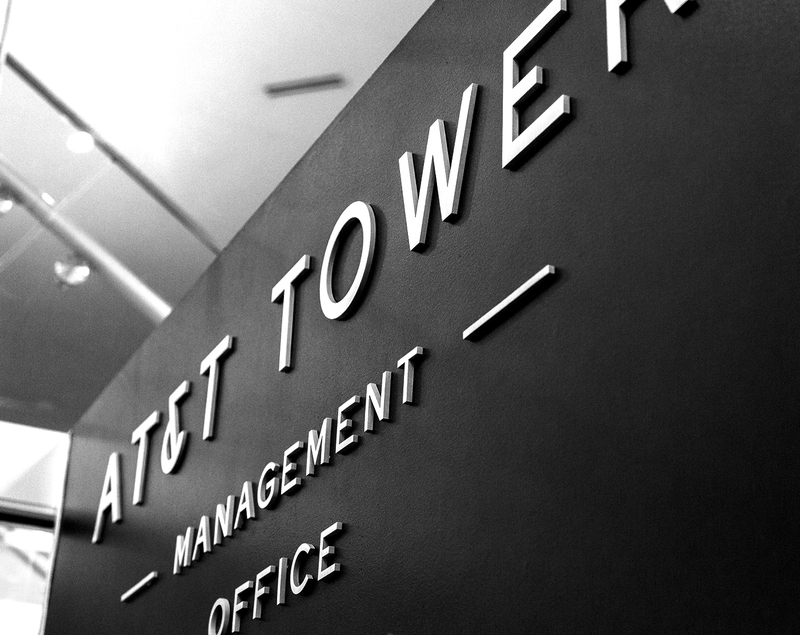 DIMENSIONAL SIGNAGE: Stark black dimensional logo adds some detail to the very abstract and modern space. 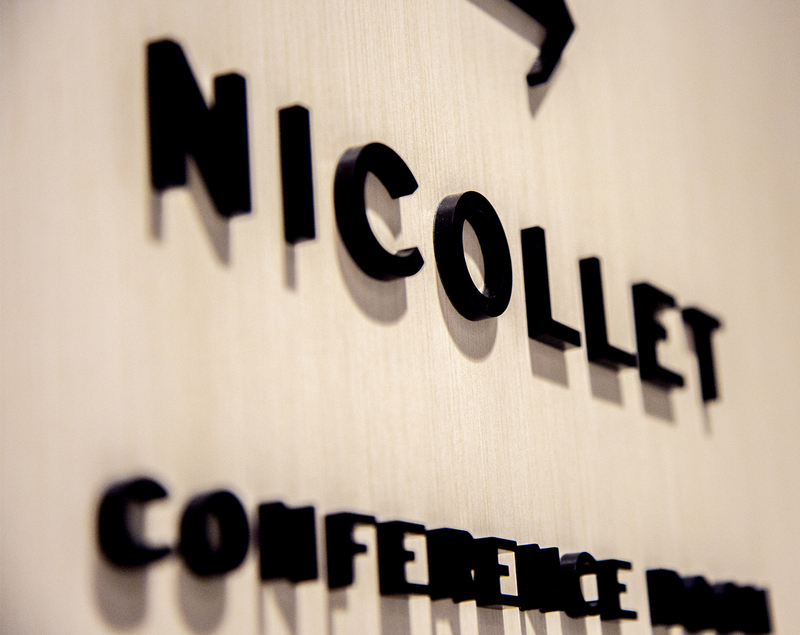 WAYFINDING: Simple wayfinding signage helps point people to the right conference room. 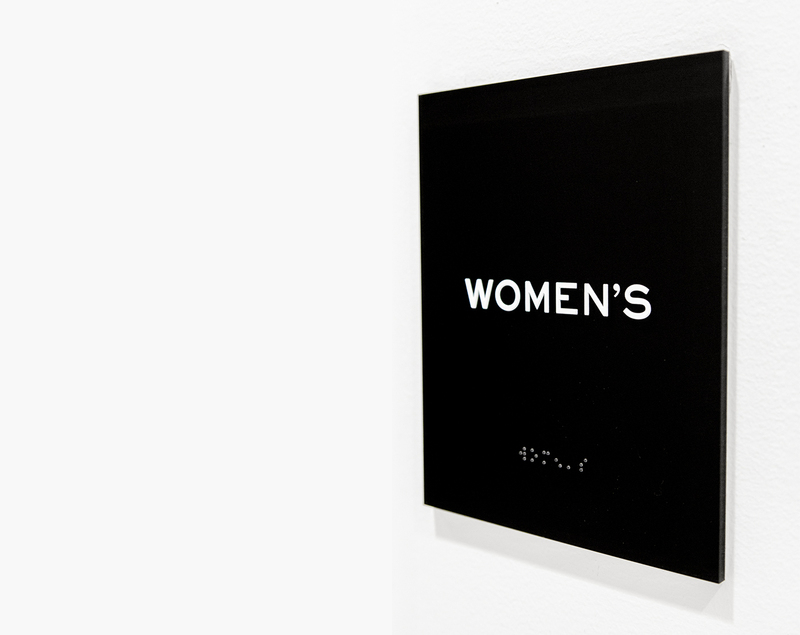 WAYFINDING: Dimensional lettering adds another strong element to the signage with shadowed texture. 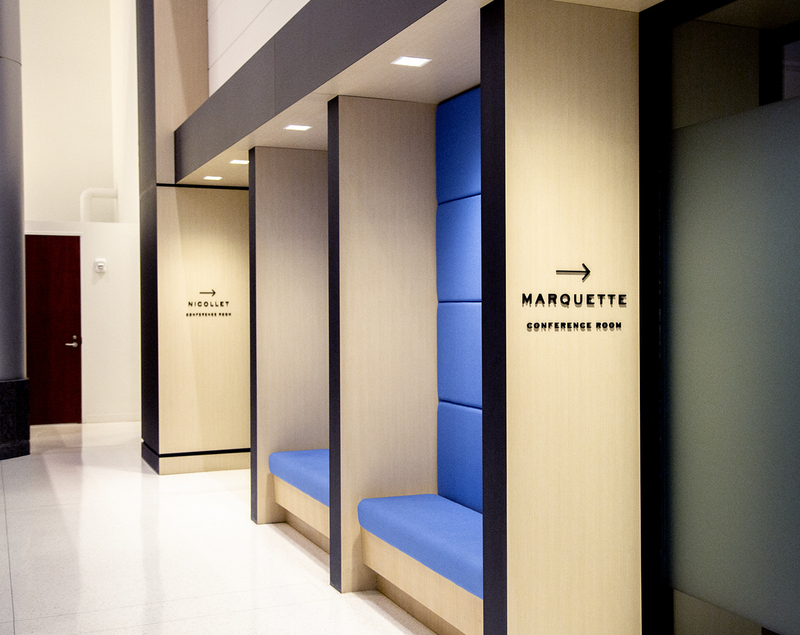 WAYFINDING: Simplicity is key in creating signs that make it easy for people to find their destination. 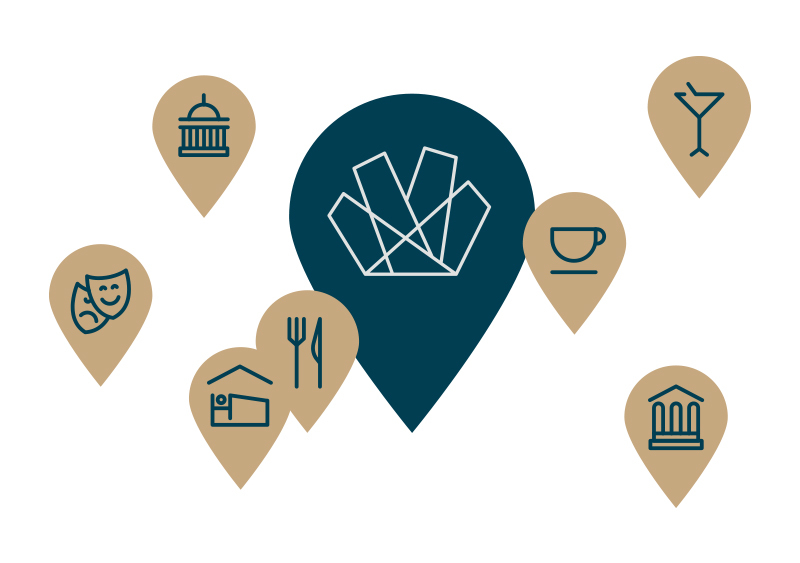 MANAGEMENT OFFICE: Signage system extended to include notable locations such as the management office. 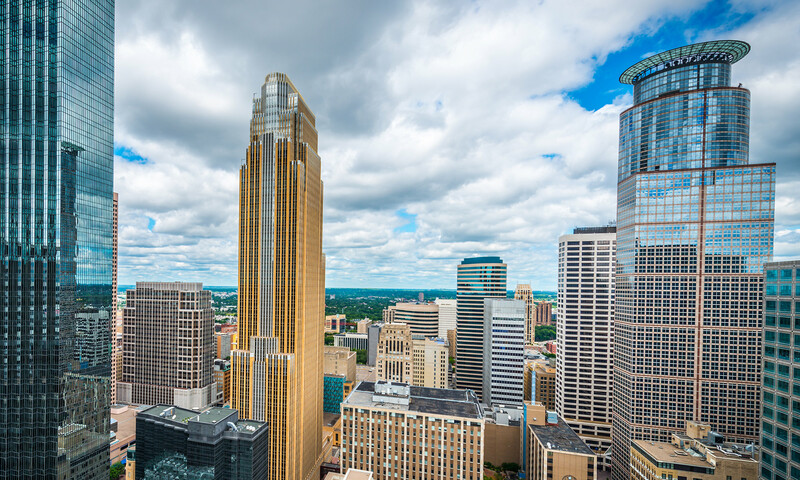 Your ultimate connection to everything downtown Minneapolis. 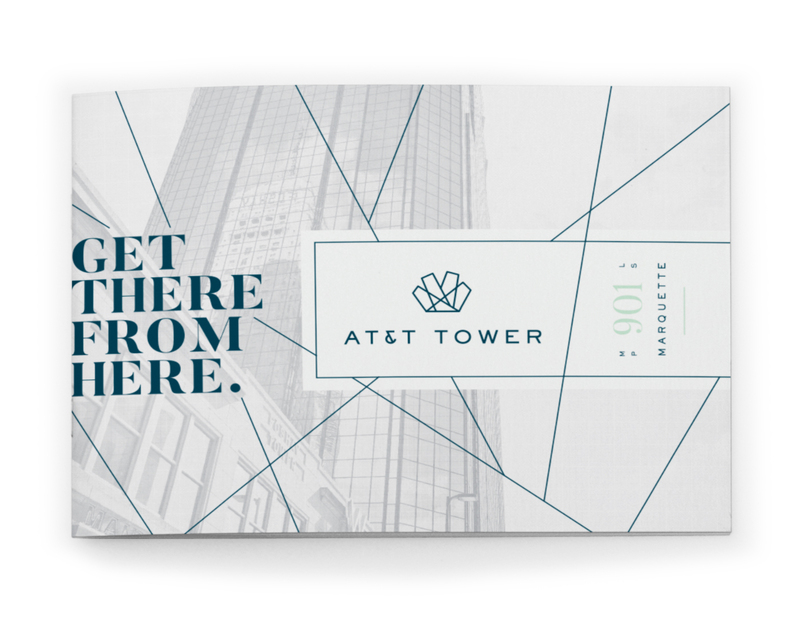 AT&T Tower’s new brand identity reflects the interconnectivity, physically & symbolically to the city, culture and the people. 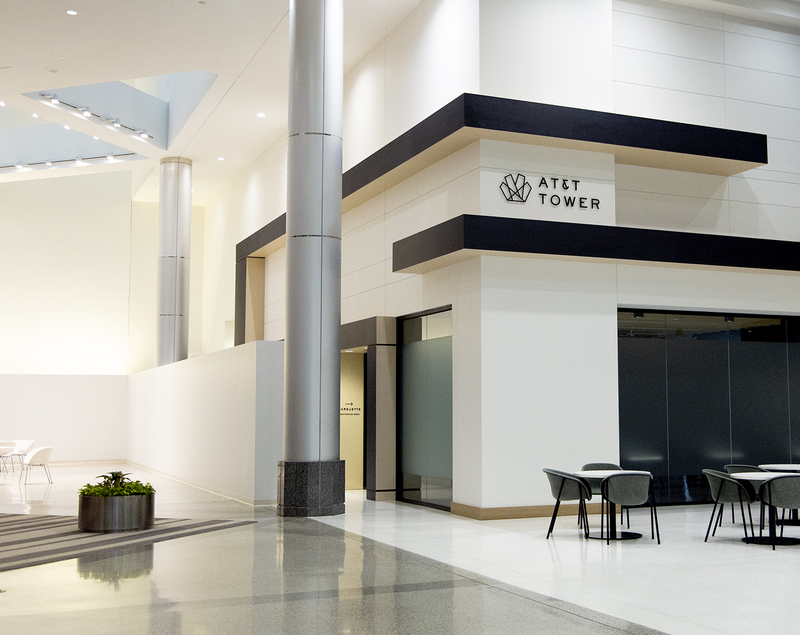 With both interior and exterior architectural inspiration, the brand refresh uses dynamic angles to simulate the energy and modern aesthetic of AT&T’s new space.